Downtown Charlotte's most-connected office tower is undergoing a dramatic transformation. 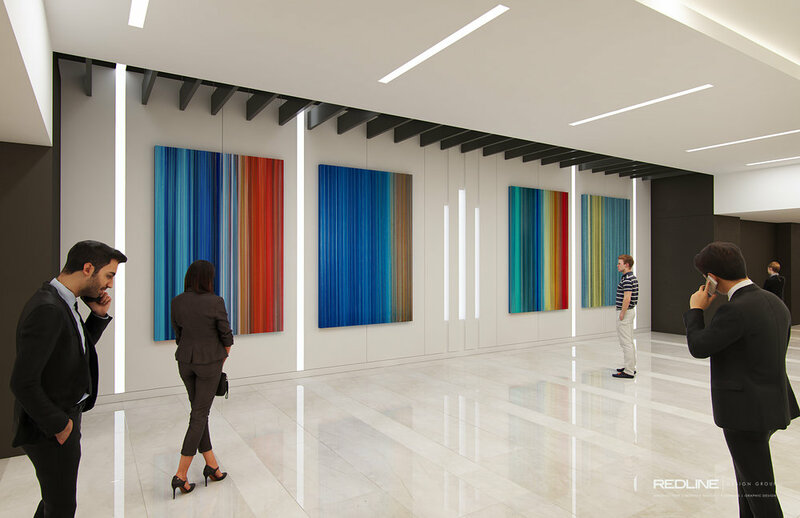 The lobbies on the first and third floor of BB&T Center will have a new, dramatic and modern look with stone and porcelain walls and floors, LED lighting, and custom perforated backlit ceiling and wall elements. BB&T Center is conveniently located in the heart of Downtown Charlotte with proximity to I-277 and 77. This building is surrounded by several local amenities including Overstreet Mall, six hotels and more than 100 restaurants. Pedestrian walkways and sky tunnels provide covered access to eight office buildings. BB&T Center has been Wired Certified Silver which guarantees that fiber connectivity is available in the building, as well as choice of internet service providers to support diverse connections. Direct access to Overstreet Mall, downtown's retail hub, connected by pedestrian bridges and sky tunnels. Overstreet Mall provides covered access to eight office buildings, six hotels, The Blumenthal Performing Arts Center, and more than 100 restaurants and retail shops.